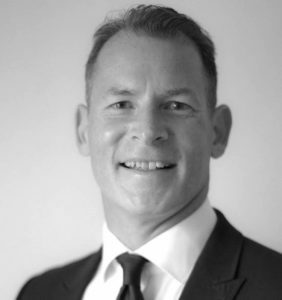 A brand’s physical development is as much about location as it is about communication says Jeremy Midmer, currently Partner at Rider Levett Bucknall and former Head of Capital Programme at John Lewis Partnership. Over the course of three years, Midmer has opened over 1000 stores/units in 47 countries so we asked him about the challenges companies face when growing their physical presence. One of the biggest challenges is language and understanding the countries cultural differences. We tend to be very practical in the UK and use our common sense in what we feel is logical. When you travel to different countries you usually need to give very, clear and detailed instructions because of these differences. Obviously, the best way of ensuring everything goes to plan is by watching the project develop on-site, but this is not always possible, so make sure you have a clear understanding of what is being constructed each week, so you can offer your help and support. The worst thing you can do is tell someone to build something and then turn up at the finished store and criticise it. It’s important to be aware of the development process hurdles you need to go through in order to deliver physical brand presence across different countries. That really starts with doing your homework on the national legislative differences. You need to be certain about what is required in terms of planning, local government and other statutory approvals. This can take up to six months to gain in some countries. No matter how great the idea to create a new brand store or unit is, failure to tick all the legislative boxes amounts to self-sabotage, additional costs and frustration. I would strongly suggest seeking out experienced people to help you through this minefield. The other important area is the logistics of delivering your brand in a different country. Finding the right people and support network is essential. They need to be robust, proactive, experienced and capable people of course, but even so, you should always set up the communication channels early. Initially most companies employ a business development manager to oversee the relationship with the international client or franchisee, but the physical delivery of the brand store needs to be managed by a technically competent person, so make sure you have the experience required at this stage. Managing remotely is possible but you must have someone locally who is responsible for providing first hand updates. The capability of that person and the development of mutual trust is a vital ingredient for project success. The most important factor for the delivery of a successful brand store with a franchisee is ensuring there is a common understanding in place. This ties in with point 1, but it’s fundamental to success. Generally, the franchisee will want to install the brand as cheaply as possible. As the brand owner and guardian, you have to help them with very clear written design and construction guidelines. Best practice photos are great as they bridge all language barriers. Use this documentation as your brand standard and work together to deliver.